The daily diabetes clinic is conducted by our multidisciplinary team.After introduction of the patient,a thorough history of the patient illness is taken, details of daily activities, diet, personal and family history are recorded, following which the patient is submitted toclinical examination. Relevant biochemical investigations are carried out and recorded in the case sheet. Treatment is carried out by a team of Endocrinologist, associate and assistant consultants, specially trained diabetic educators, dietician and social workers. Trained health educators educate the patient regardingnecessary lifestyle changes, taking into account his/her current lifestyle. Our nutritionist and dietician instruct them about the healthy diabetic diet. A doctor team suggeststreatment, according to the patient’s blood glucose,current medications and associated clinical problems. The latest and most ultramodern and safe medications which not only control diabetes but also have other health benefits are routinely offered. Evidence basedmethods and treatment are used. Patients requiring insulin are specially guided and given practical training of injecting insulin. We use most updated and latest techniques & devices, including the latest insulin pens and painless needles. The details of injection techniques, storage of insulin, hypoglycemia (low sugar) its prevention and immediate treatment are explained to patients and their families.Dr. D.C Sharma emphasizes the need for patient empowerment with the goal of better self-monitoring and control of diabetes. A lab, retina screening and foot assessment are available on-site for patient convenience. Diabetic patients are more likely than non-diabetics to develop ulcers and wounds in their feet. Hence all diabetic patients are advised regular foot care practices. Patients reporting symptoms of neuropathy are thoroughly assessed. We have a very specialised and highly technical diabetic foot clinic, which offers detailed examination of the feet for the presence of neuropathy, special machines and equipment that test foot sensations, detect adequacy of blood flow in the feet, scans which detect abnormal pressure areas;and assessment ofother relevant parameters is carried out.Feet having high risk for future ulcerations or other foot problems are identified and special footwear are arranged for patient as necessary. Appropriate lifestyle advice, medications or necessary procedures areoffered as appropriate. Follow up care and advice are provided to facilitate quick recovery. Patients presenting with boils, ulcers, cellulitis, abscesses etc. are assessed by our in-house surgeon and surgical debridement and incision and drainage are carried out by our expert surgical team after admission, glycemic control and after control of other relevant parameters. Young diabetes have their special needs and our specially trained diabetes team helps young diabetics and their families to cope up with this difficult-to-treat diabetes. Insulin doses are prescribed after monitoring the patient for 2-3 days, by an endocrinologist with wide experience in this field for over 3 decades. Patients with Type 1 diabetes have special insulin needs and this is emphasized to the parents and family. Families are taught about the details of diet, lifestyle, insulin injection details and techniques; and are trained to self-monitor and adjust insulin doses so that they can maintain the majority of their blood glucose readings within the prescribed international targets for maintaining health in diabetes. We address the psychological needsof the Type 1 diabetic children as well, so that children can lead a healthy and happy life; and so that coping with Type 1 diabetes is made easier. Patients and families are educated regarding the commonly occurring emergencies in this condition and are trained to recognise any such problems in the early stages and thus avoid complications. Thus growth and development of these children can take place normally, and they can achieve their educational and career goals; and lead a healthy and normal life. 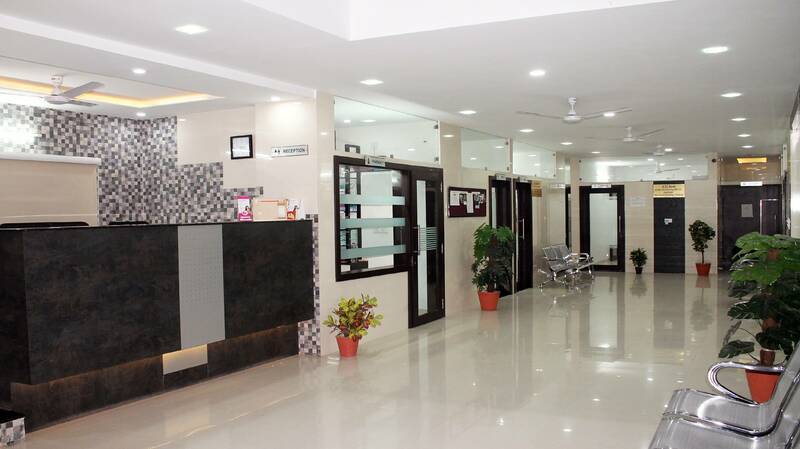 Dr. D C Sharma s Institute of Diabetes, Thyroid and Hormones is one of the leading super-speciality centers in the country providing state-of-the-art patient care by incorporating latest academic, research and technological advancements. Dr. D C Sharma is a senior consulting doctor at Dr D C Sharma Institute of Diabetes, Thyroid and Hormones- Srajan Hospital Pvt Ltd, Udaipur. He specializes in Endocrinology, Diabetes and Metabolism and is in the given field since the past 26 years. 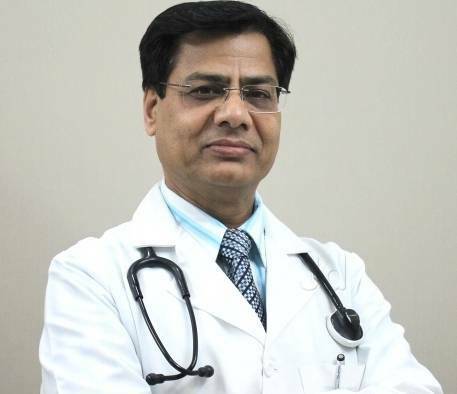 In 1994, Dr. Sharma achieved superspeciality degree of DM in Endocrinology from India’s premier institute AIIMS, Delhi. He then dedicated his time towards teaching, research and patient care for a few years when as a professor he headed the Endocrinology Department at RNT Medical College, Udaipur. Drug research and clinical trials concerning diabetes, thyroid and hormone disorders have evoked his keen interest and involvement. His vast experience can be gauged through his articles which have made their appearance in around 25 publications in national and international journals.